Product prices and availability are accurate as of 2019-04-23 04:35:04 UTC and are subject to change. Any price and availability information displayed on http://www.amazon.com/ at the time of purchase will apply to the purchase of this product. Model Cars is happy to list this Pinewood Derby Adjustable Domed Tungsten Disc by ABC Pinewood Derby. Assemble this fantastic Pinewood Derby Adjustable Domed Tungsten Disc made by ABC Pinewood Derby and featured by ModelCars.us. This popular item is currently available - get securely and safely on modelcars today. Ideal for adding weight to your pinewood derby car. Drill a 1" hole in the top of the car and glue the weight in place. 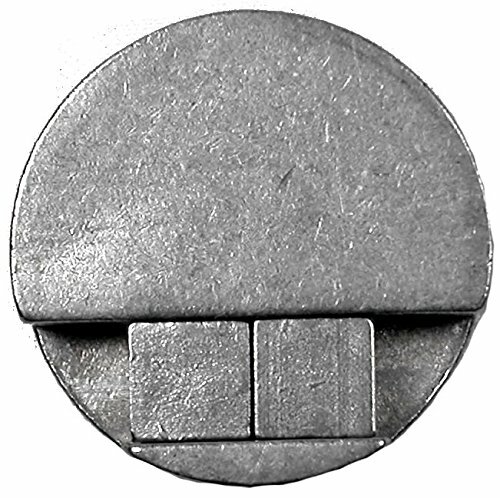 Includes two tungsten cubes (.17 oz each) that can be added to the slot in the disc for additional weight. 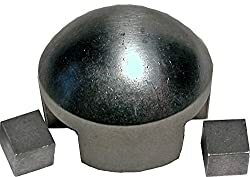 Sidewall height is approximately 5/16" High density tungsten Included cubes will add up to .34 oz to the weight of the disc Use a 1" Forstner bit to drill the hole for the weight. Dome height is 1/8"